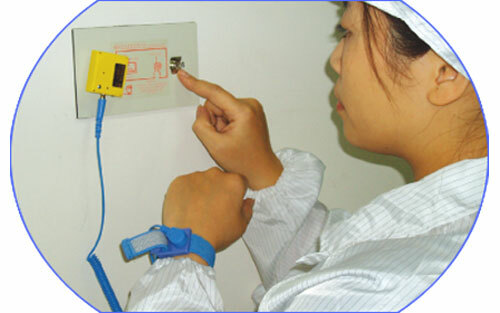 wrist strap heel strap or footwear are workable to guarantee user's safety. 2. Easy to use and no complex operating procedure, distinguished simply by sonic & lighting display. 3. Lightweight ; compact ; affordable ; easy to operate and understandable. 3. 重量輕 體積小 價格低 操作容易 易懂為本機最大特色. for testing " wrist strap" if it is workable. 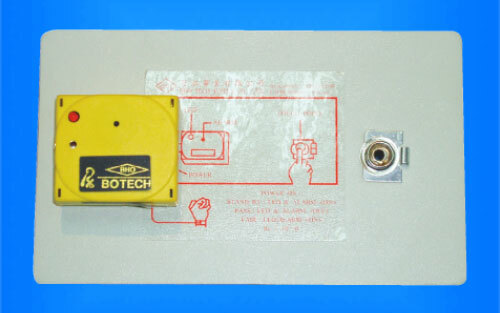 Users may use reversible adhesive on back plate to stick on the wall or the desk. * Station Plate size : 150 x 90 x 3 mm --- Other size order available. * Main Accessories : a/ Alarm Tester b/. Station plate c/. Footplate d/. 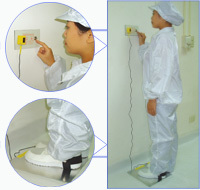 * Station Plate size : 150 x 90 x 3 mm --- Other size available.